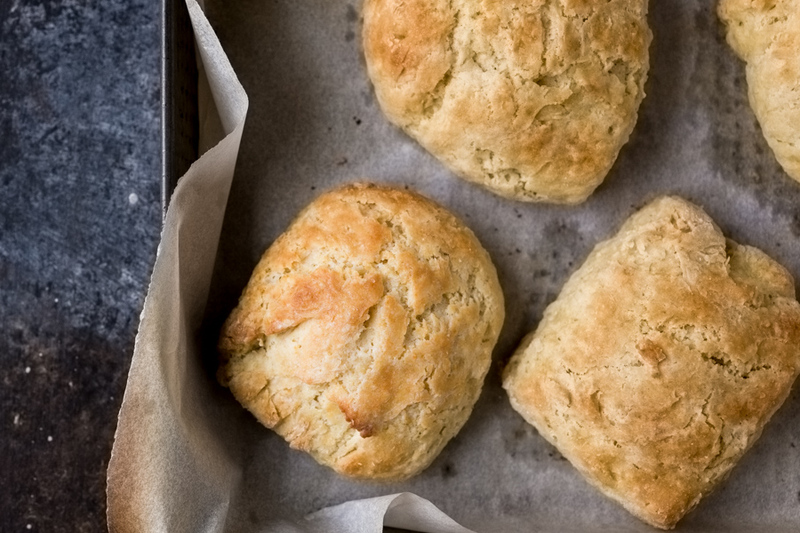 This classic baking powder biscuit recipe is tried and true. It comes together quickly so you can enjoy warm, flaky biscuits for breakfast, brunch or with jam and a cup of tea in about 30 minutes. Or you can stuff them with a savory filling for a satisfying supper or a grab-n-go lunch. I love the different modes that recipes find their way into people’s kitchens. 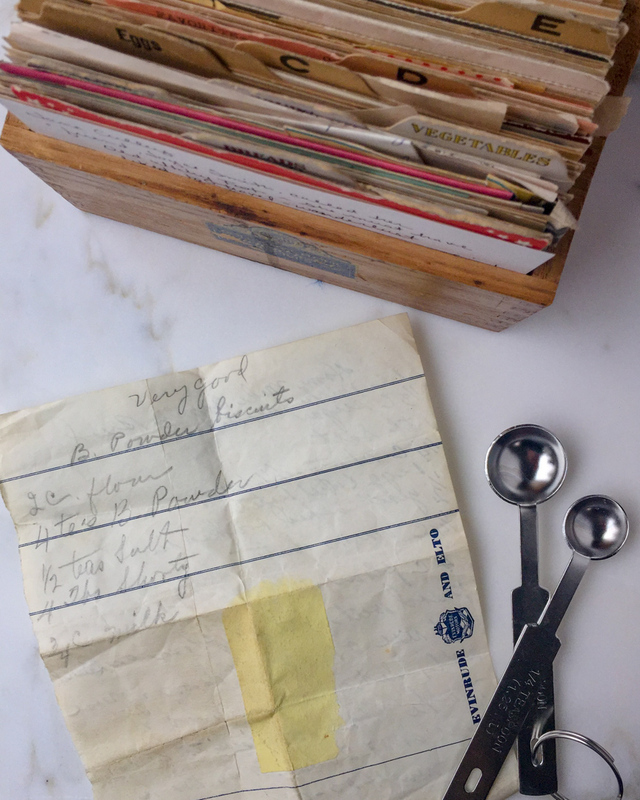 This recipe appears to have been written on an invoice or statement form from the Evinrude and Elto company an outboard motor company founded by Ole Evinrude in 1913. I imagine that one of Jane’s mid-West friends worked for Evinrude and when Jane asked for her biscuit recipe she grabbed whatever was at hand and wrote it down for her. Whoever gave Jane the recipe appears to have been a baker as the back side of the paper has a recipe for Home Made 30 Minute Bread. How Does Baking Powder Work, Anyways? Baking powder is a leavener made with a combination of baking soda which is alkaline, some type of acid, such as cream of tartar or monocalcium phosphate, and a moisture-absorber, like cornstarch. This third component is important because it helps to prevent the baking soda and cream of tartar from reacting with each other before needed. Once a liquid such as water or milk is introduced, carbon dioxide bubbles are released. This is what makes Jane’s biscuits rise. Early recipes for biscuits generally consisted of 2 ingredients, water, and flour and were used to sustain travelers on long journeys. These were often called ship’s biscuits, hardtack or pilot bread. They were baked and then dried “to a state of such immortal hardness that it was reckoned to be edible, if not palatable, for as long as fifty years,” Reay Tannahill writes in her book, Food in History. 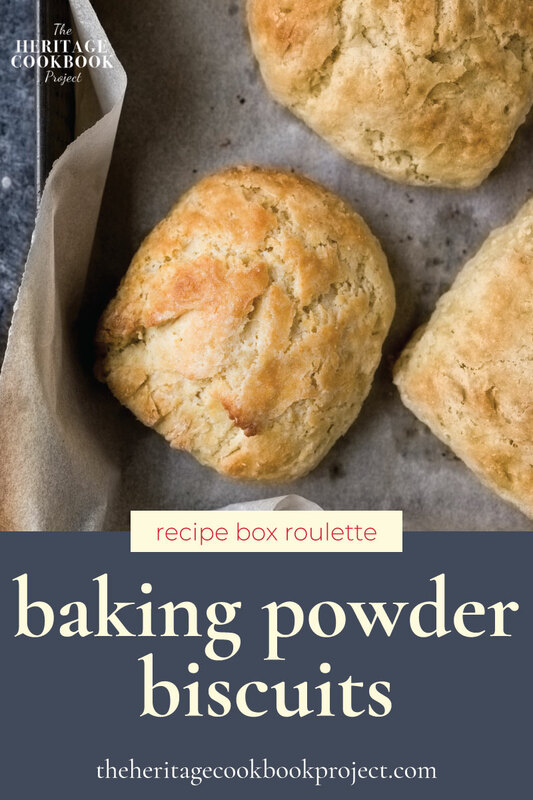 I for one, have to say that I am very thankful for chemical leaveners, food science, modern food safety, and a less nomadic lifestyle that allowed recipes like this one for flaky, tender baking powder biscuits to be developed. Work butter or shortening into the flour mixture with your hands, a fork or pastry cutter until it resembles breadcrumbs. Add the milk, mixing quickly and gently until the dough comes together. Place the dough on a lightly floured work surface. Pat the dough into a rectangle and roll out to 3/4-inch thick. Cut with a biscuit cutter or cut into squares. Place the biscuits bottom side up on a baking sheet and bake for 15 minutes, until golden brown. I love biscuits like these, but I’ve never made them myself before. I’ve made many other types of biscuits, but these look so flaky and perfect! I’ll be trying this soon for sure. This is such an easy recipe to make. They are light and fluffy and flaky. I hope you give this recipe a go. Cheers! These look delicious… and pretty easy to make too. Will have to give your recipe a try this week. Biscuits are really so simple to make. Let me know if you make them. Cheers! Snehal, these are great with butter and jam or a nice piece of ham for a quick breakfast sandwich. Let me know how they turn out. 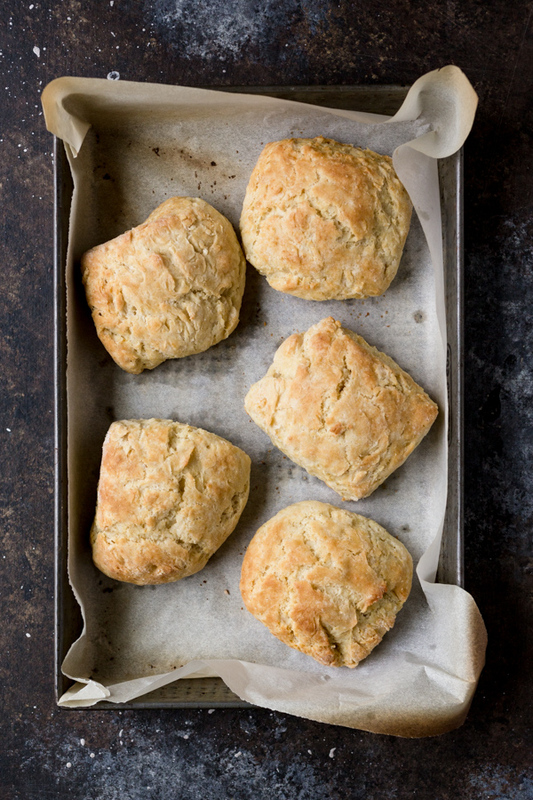 Biscuits sound so good right now. Im in such a carb mood! These are carb-craving satisifiers! Thanks for stopping by. Cheers! These look so good! My daughter and husband love bread in any form, so I will have to make these for them. Hey Patricia. You just can’t beat a good biscuit. And when it has notes on the recipe card that say “very good”, you can be sure that they will be tasty. I hope you give them a try. Cheers! Can’t wait to get my oven back online so I can get back to baking. Thanks for the recipe! Biscuits are definitely a favorite treat at our house. Jane’s recipe is easy and really so quick to put together.